Arsenal Holdings plc is to lose its NEX Exchange listing after majority owner Stan Kroenke’s vehicle KSE UK Inc announced it was taking the company private. KSE holds 41,743 shares or 67.09% of Arsenal. The takeover price at £29,419.64 per share is below the asking price for Arsenal shares of £32,000 per share prior to the Kroenke move. But KSE UK Inc has secured the agreement of Red & White Securities, the Alisher Usmanov holding vehicle in respect of its 30.05% stake. As the combined holding exceeds the 90% threshold, KSE would be able to compulsorily acquire smaller holders. Hence the issue of a premium to the asking price appears beside the point. KSE is funding the £602.4m cost of the minorities buyout via a £557m bridging loan from Deutsche Bank with £45.4m from Mr Kroenke’s cash reserves. Unlike previous football acquisitions, i.e. Mr Glaser’s 2005 takeover of Manchester United, it appears Mr Kroenke is not seeking to mortgage Arsenal post acquisition. 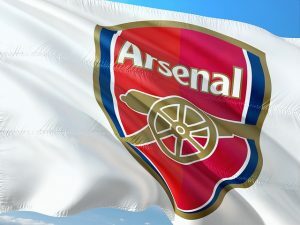 “The offer is not being funded by way of any debt finance….for which payment of interest on, repayment of, or security for any liability will depend on the business of Arsenal” according to the disclosure. The Arsenal Supporters Trust (AST) called the development “a dreadful day” for the Gunners. “Mr Kroenke will….take detrimental actions such as paying management fees and dividends without checks or balances” said AST. The Arsenal listing was always an anomaly with a tiny, illiquid free float that made the stock un-investable for the vast majority. What can supporters make of this? Can we believe Mr Kroenke is not going to refinance the DB bridging loan with a mortgage as he claims? Too early to be definitive in our view. Even if the wealthy American does not leverage Arsenal, arguably Arsenal’s low profitability, dependent on unpredictable player trading (62% profit) makes this hard anyway. Arsenal would struggle with £420m of extra debt. The new ownership structure, a privately owned Delaware incorporated holding company will reduce transparency relative to the NEX Exchange listing. The legacy of US holding companies in football, Liverpool and Manchester United is hardly inspiring. But Arsenal’s supporters have struggled for some time to get their voices heard in its corridors of power. At the November interims, Arsenal held net cash balances of £137.6m. This could be reduced to a working capital requirement (possibly £50m). The cash balance should remain intact short term, as the board is not appointing lawyers and advisers to fight this acquisition. The disclosure says the Arsenal board of directors will not be changed as a result of the takeover. Another oddity. Short-term the deal is unlikely to change the club’s operations. It will not lead to a player spending spree. Mr Kroenke is extending control and by moving the ownership to America rids himself of competing shareholders, distances himself from supporters spending visions and UK corporate governance.